In ‘Heard It in a Past Life’, Maggie Rogers combines tales of identity, life, and love with a carefully crafted sound for a debut album that’s fully representative of herself. We know how it goes: Back in 2016, Maggie Rogers gained literal overnight attention when the video of Pharrell Williams attending a masterclass with a small group of students at NYU’s Clive Davis Institute went viral. “Wow. I have zero notes for that and I’ll tell you why. You’re doing your own thing,” he said after hearing an early version of “Alaska.” Since then Rogers has continued to expand on her sound- her own blending of folk imagery and harmony with the backbone and energy of dance music- while gaining more recognition and success. Her 2017 EP Now That the Light Is Fading very much encompasses the sound Maggie Rogers first introduced (although one shouldn’t forget the 2014 acoustic album Blood Ballet, available via Bandcamp, which is an amalgamation of storytelling and folk traditions suited to summer camp chill time) while the second chapter in her emergence, “Fallingwater,” “Give a Little,” and “Light On,” has more emphasis on danceability: the synth pop heavier and the energy faster. Her debut album, Heard It in a Past Life, (released January 18) is representative of Maggie Rogers’ career so far. It’s both a beginning and an end, being a gathered body of work presented to fans and new listeners but also a conclusion of the past few years. Thus there is the well known (“Give a Little”, “Light On”, “Fallingwater”), the anticipated (electropop of “The Knife” and the intricately produced ‘Burning’) and those delicate moments of calm (“Past Life”). Sometimes it’s unfair to delve into the lyricism of an album and suppose that they’re personal accounts of the artist but with Heard It in a Past Life Rogers has made clear that this is her and her journey. Due to its easily listenable and carefully crafted pop ambience, the album is sonically familiar and slots welcomingly into the contemporary mainstream. But it’s also distinctive and a platform for Maggie Rogers, as a singer/songwriter, to leave a mark of her own. As a song about connections and reintroductions, “Give a Little” is an appropriate album launcher. It radiates Haim-like catchiness and modern female empowerment, the accompanying video all cool girls skateboarding and hanging out in a California neighbourhood. It was the last track written but placed first on the album makes a point that this is a story about an ending, a story of how she came to the sunny, pop-charged creation of this single. The following track, “Overnight” is a fitting reflection of success and how quickly things can turn. Set to a laid back groove, the vocals alternate between restlessness and elongated musing while using a relationship as an analogy for sudden rushes of emotions. In keeping with Rogers’ creative process of using collected nature sounds in production, the synths in the verses are constructed from samples of glacier frogs, something fun that’s difficult to discern even once pointed out. “The Knife” is outright pop, encouraging one to party and escape into good times. 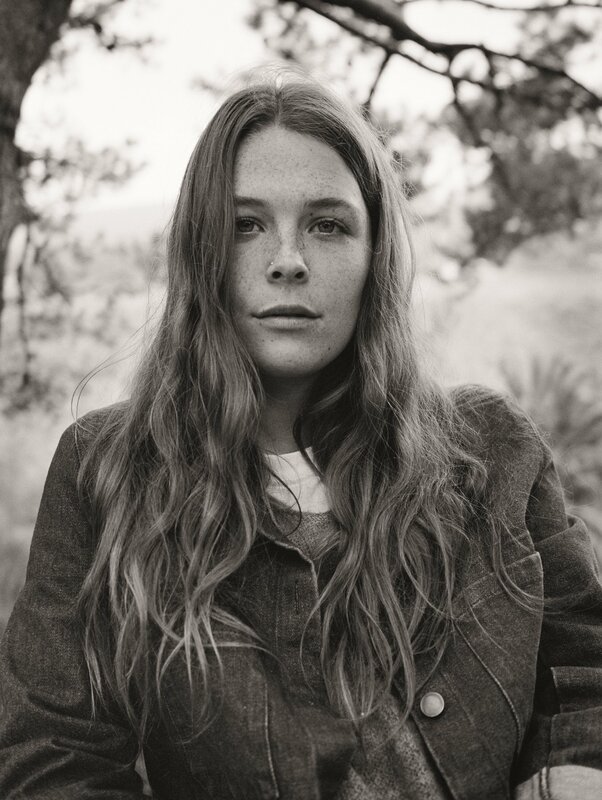 While Maggie Rogers’ initial approach to music was leant more towards the folk side, it is dance music influences that encompass the majority of Heard It in a Past Life. The spiritual relationship with Berlin club music encountered while travelling Europe prior to NYU has built Rogers’ persona and been combined with chart-fitting pop for an accessible listening experience. “The Knife” is perhaps the clearest example of this. What would be the album without the appearance of ‘Alaska’, the song that helped launch it all? The lyrics still resonate, “And I walked off you/ And I walked off an old me,” while the nature-rooted sound underlines the wholesomeness of Rogers’ musical approach. Released as a single at the end of 2018, “Light On” is a form of songwriting used to release overwhelming inner feelings. For Rogers, it was her way of sharing the anxieties and sadness that came with her growing recognition without trying to disrespect the people closest who had been there for support. But personal tale aside, “Light On” is easily relatable, a comforting hug for people feeling equally as uncertain. The Robyn-esque tunefulness that accompanies it intensifies the reassurance, saying it’s all normal so let your body be free and dance away the troubles. In a change of pace, “Past Life” begins with the intimacy of slow piano and an enchantment akin to Stevie Nicks in “Landslide.” It’s a solo ballad where Rogers remains bare with nothing but emotions, voice, and fingers to keys. As the middle track on the album, it feels like an interlude- A moment’s break from the synths and pulsing beats. There’s vulnerability but also strength, a reminder perhaps of the personality amidst the hype. “Say It” starts with the vastness of being stood in the wilderness, the towering synths like a mountain range backdrop. Kind of like in the mini documentary from March 2018 entitled “Back In My Body” where Rogers is revisiting Alaska and filmed standing on a snowy hilltop overlooking an icy lake and low slung clouds. The chorus undergoes a transition that’s slick and understatedly sensual. Rogers stated that this song is one from her ‘former’ days, written a month out of college before the touring and relocating home had begun. It therefore harks back to the early scenic imagery while lyrically centring around the simple innocence of having a crush on someone. Like, “Alaska”, “On + Off” is featured in the Now That The Light Is Fading E.P but remained a key part in the making of Heard It in a Past Life. It’s about relationships and finding someone you have chemistry with while the multiple layers and assortment of percussion kind of represent the intricacies that can go into making something feel right. “Fallingwater” is the turning point mentally and physically as emotion takes control and transports the voice to new heights and places. A performance slot on Saturday Night Live became the epiphany- Rogers, with her eyes closed, feet bare, body floating in a red caped gown, belting out the highest of notes with the naturalist grandeur. The song itself is about the challenges of change, images of nature alluding to this change being a pure and oftentimes beautiful part of life. “Retrograde” is introduced with the essence of gliding in the sky amongst birds before the rapidly paced synths kick in and we’re reminded to keep our feet on the (dance)floor. It’s a balance between the dreamy and logical while focusing on feeling like being defeated by everyday obstacles. With its mix of scurrying percussion and clapping beat, Rogers’ voice skipping and prancing in pitch and volume, “Burning” gives the impression of adventuring in the wild. It’s a song about the power that love can have and the addition of a slow moving guitar riff conjuring up images of a liberating road trip drive emphasises the ride a relationship can take you on. Closing track “Back in My Body” is a grateful cry whirling dreamily up from a bed of majestic pensiveness, a reach-for-the-tissues-as-the-credits-roll-up moment. Rogers’ natural storytelling ability is at the forefront of the song as she references moments in cities (London and Paris), sounds, sights, and tastes, all with rhyming lines and attention to emotional detail. ‘I lost you in the morning, don’t live anywhere/ I found myself when I was going everywhere/ This time, I know I’m fighting’ she repeats at the end, reiterating the point with vigour. 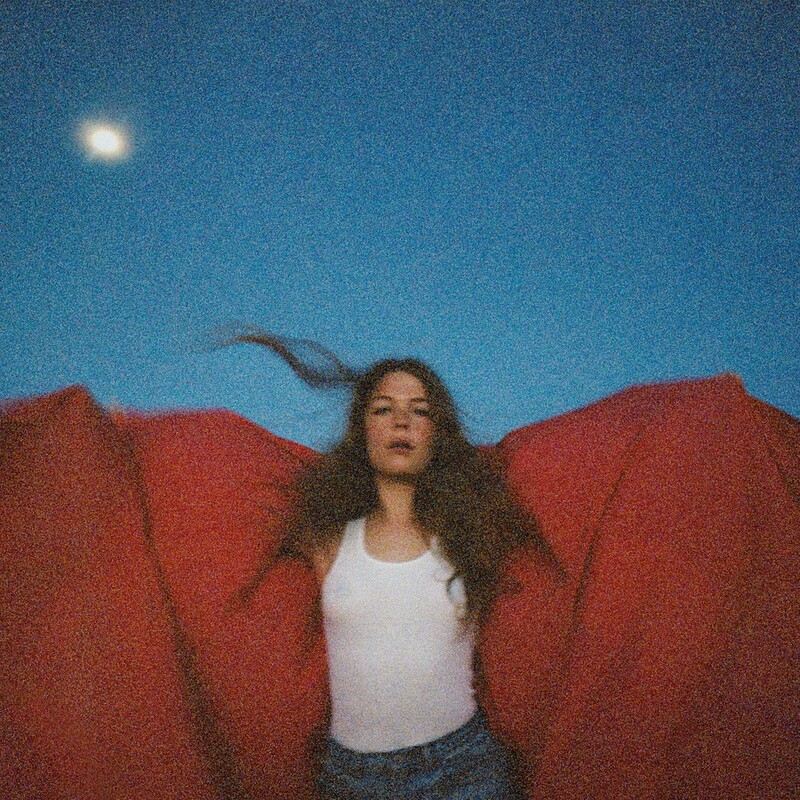 With Heard It in a Past Life, Maggie Rogers is back in her body – or rather, has entered her body: The body that’s been moulded through personal and musical experiences presented in this album. So much has been presumed about the artist, the viral video that launched her into spotlight following her with every new release, but this debut is a rounded way of defining who Maggie Rogers is. It’s a story, yes, but not one that remains on its own; more perhaps, a part of a series – with this being only the beginning.